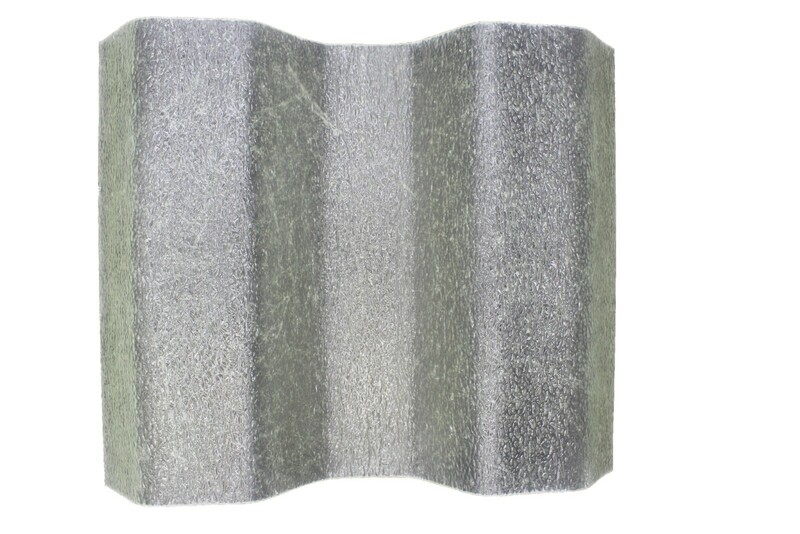 Fiberglass FRP Acryloy and CR-Acryloy are names synonymous with Fiberglass Reinforced Polymer roofing and siding panels in the corrosion and industrial markets. 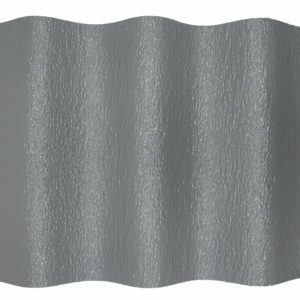 In very corrosive environments, such as steel mill pickling operations, the maintenance staff discovered that after a few years of exposure their metal cladding was failing. Embossed exterior surface – the exterior surface is embossed creating a resin rich surface for improved performance. The interior surface is smooth. 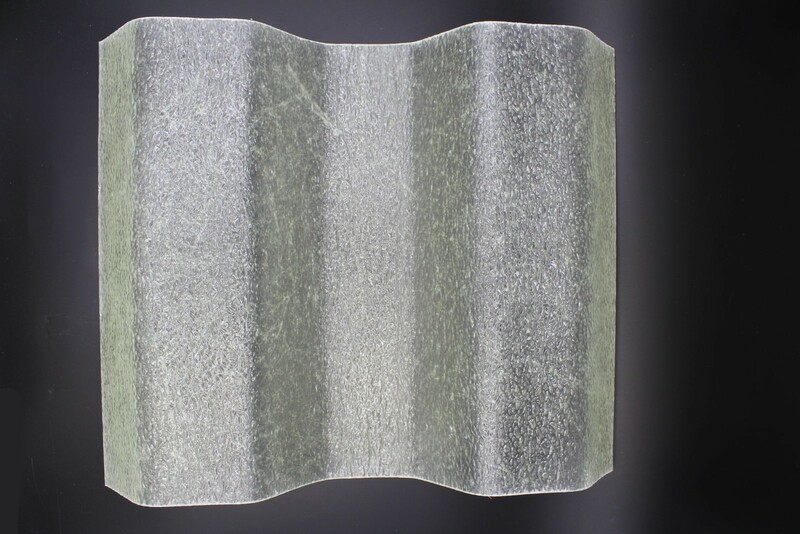 Acryloy is the translucent and CR-Acryloy the opaque version of our non-fire retardant (non FR) fiberglass roofing and siding panels. Both are available in a wide variety of profiles and in many types 1230 through 830 and have a nominal weight of 12 oz. thru 8 oz. per square foot respectively. Acryloy and CR-Acryloy FRP roofing and siding panels are a composite matrix of polyester resin and chopped strand fiberglass reinforcement. 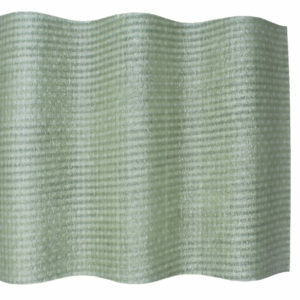 This glass reinforcement is multi-directional and provides equal strength in all directions. Although other types of glass reinforcements, such as linear glass, can provide stiffer panel characteristics and longer spanning capabilities, they sacrifice resiliency. The ability to absorb various forces without damage to its structural integrity is critical to the long term performance of FRP panels. 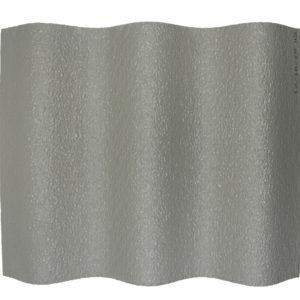 C/W Barrier is an option available on both exterior and/or interior surfaces of ’30’ Series panels. C/W Barrier is the long range solution to better weathering FRP panels and is far superior to highly volatile sprayed on coatings that erode and fade away in a short time. 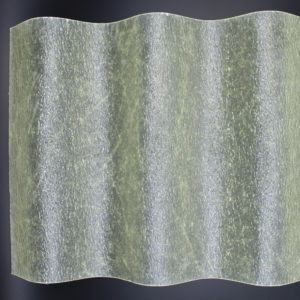 FRP Acryloy and CR-Acryloy fiberglass roofing and siding panels have over 50 years of long term performance history. Acryloy and CR-Acryloy have been utilized wherever corrosion resistance and good weathering characteristics are critical. Installations include steel mills, aluminum production and other nonferrous manufacturing, pickling operations, cooling towers, fertilizer plants, chemical producers, pulp and paper mills, mining operations, water/wastewater facilities and a host of other industrial building applications.